Spiritual Workshop: Where has My Struggle Led Me? 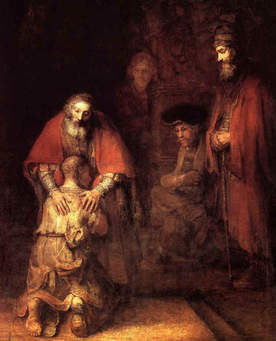 Led by Rector Nicholas Lang, this half-day retreat offers an exploration of the impact of religious art through intense reflection on Rembrandt’s splendid painting “The Return of the Prodigal,” using the experience of renowned religious author Henri Nouwen, a Dutch Catholic priest, professor, writer, and theologian. Join us at 9:30 in the Guild Room to discover and explore themes of homecoming, affirmation, and reconciliation, especially where we may have struggled with loneliness, dejection, jealousy, or anger. Contact the main office for more, or to sign up.